There’s an open house this weekend of a charming postwar cottage for sale in Silver Spring, Maryland, with some special qualities that are hidden in plain sight. 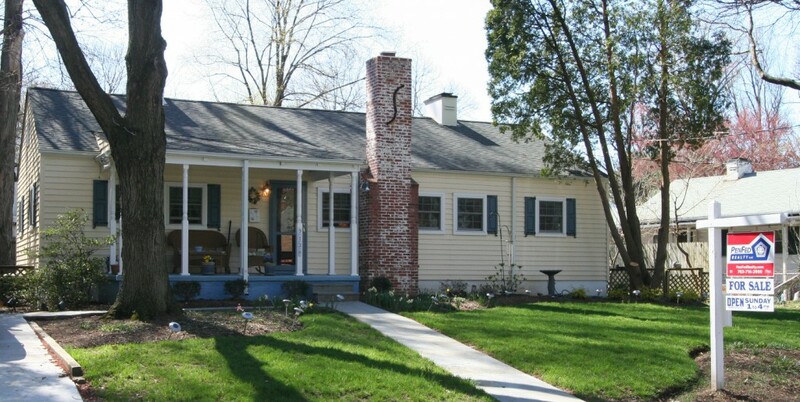 The front exterior brick chimney with metal “S”-curve embellishment, metal interior chimney with double vent slits, and vertical seams on the interior walls (spaced every four feet) clearly identify the house as a late 1940s Gunnison Home prefab. In fact, it’s one of twelve Gunnison Homes constructed on Walden Road, on the block between E. Melbourne Avenue and Saffron Lane, with at least one more around the corner on E. Melbourne.